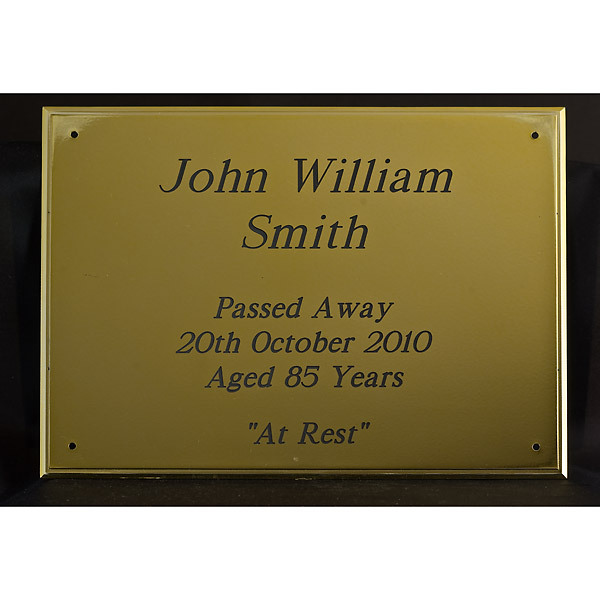 Plastic funeral coffin plate, 202mm * 150mm, engraved free with up to 50 characters for funeral directors. Additional characters are charged at 15p per letter. Funeral plate will be engraved in Roman unless specified. Please specify the date the coffin plate is required by in the special instructions field at checkout. Order for dispatch within two working days, using Royal Mail first class post. Delivery of all funeral and coffin plates is free, but if express delivery is required there will be an additional cost.